Solsona, 10 March 2017. Thirty people related to biomass and bioenergy, gathered under the Biomass Conference in the city of Vic. 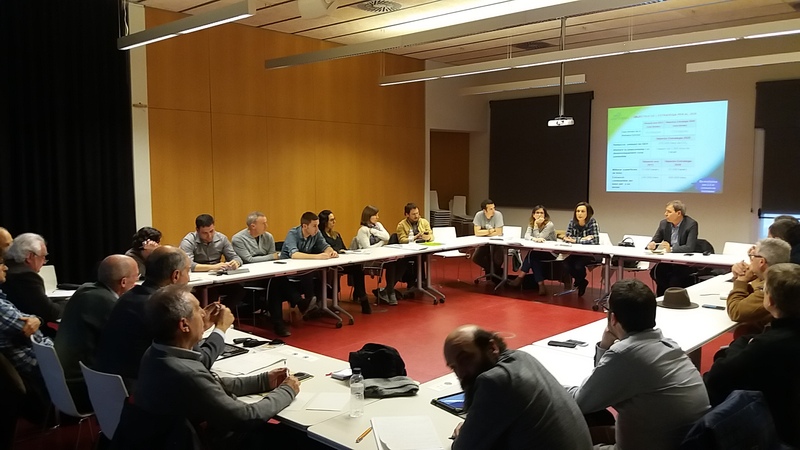 The working group, formed thanks to the BIO4ECO Project, established the roadmap to achieve the target set by the strategy to promote the energy use of forest and agricultural biomass: increasing the share of renewable energies up to 600,000 tons of biomass by 2020. The local stakeholder groups meetings allow to reach and better integrate the knowledge that is generated throughout the project as well as lessons learned from sharing experiences. In addition to speak about the Catalan strategy, the meeting also served to emphasize the importance and potential of the agricultural component of the farms in relation to biomass production. Similarly, was also emphasized the need to provide technical assistance, information and financing for small actors which, despite their interest, are unable to perform installations of biomass. It was also noted that in order to consolidate and strengthen the industrial market of bioenergy, quality, stable prices and regularity of supply must be guaranteed. The need for agents of employment and development for biomass, the role of energy service companies and difficulties in the forestry sector when getting permission for infrastructure related to biomass were other topics discussed during the meeting. The Catalan delegation of the BIO4ECO Project is in charge to improve its own political instrument, which promotes the production and consumption of natural and renewable energy. This is one of the objectives of the European Regional Development Fund (ERDF) in Catalonia: the transition to a low carbon economy. Catalonia FEDER 2014-2020 seeks to boost economic growth in the region and contribute to achieving the objectives of Europe 2020 for a smart, sustainable and inclusive growth. The ERDF is a financial instrument of the European Commission, whose purpose is to support the economic development of certain regions of the European Union.